The Cambrian area of San Jose in Santa Clara County is a tight-knit, highly desirable community of some 40,000 residents forming the southern part of the Willow Glen neighborhoods. Built on the orchard lands formerly known as The Valley of Hearts Delight, it lies between Willow Glen and the los gatos foothills. Located about 7 miles from the downtown area, Cambrian features suburban charm with easy access to all the amenities of a major metropolis. 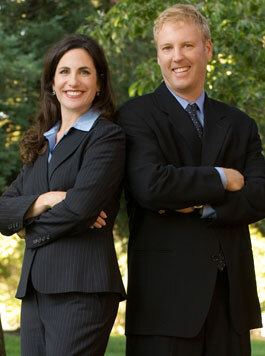 The Cambrian community borders the towns of Los Gatos, Campbell as well as Almaden Valley and Blossom Valley. It encompasses two zip codes 95124 and 95118, and is bordered by the zip codes of 95125, 95008, 95120, 95136, 95123, and 95032. Conveniently close to highways, light rail, and nearby shopping centers help make this thoughtfully planned community even more attractive. A majority of the area is served by the Union and Cambrian Elementary and Middle School districts, each of which have earned the designation, California Distinguished Schools, with student test scores in the 90th percentiles. These districts are well funded with up to date sites and expansive learning programs. Cambrian residents enjoy homes in quiet neighborhoods enhanced by an ideal climate moderated by the Pacific Oceans close proximity. The communitys lovely, quiet, tree-lined streets are dotted with ranch-style homes situated on spacious lots. The appreciation of Cambrian homes has dramatically increased due to the lack of new housing, a strong surrounding employment base, safe quiet neighborhoods, and the desirability of the best of living in the South Bay. This serene, family-oriented community offers something for everyone!